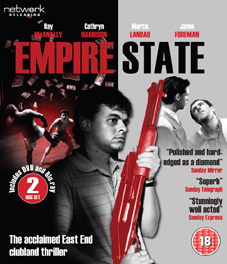 With a cast that includes Ray McAnally, a young Jamie Foreman, Martin Landau, Cathryn Harrison, Perry Fenwick, and an early screen appearance from Sadie Frost, the film also features a fine soundtrack from the likes of New Order, Jimmy Somerville and Yello. HD Image Galleries: Costume research (Polaroids) plus design artwork. PDF material: Annotated Screenplay and Storyboards, cast list, Duty Log, front titles, Press coverage 1, press coverage 2, Ron Peck's Journal Notes, screenplay, character synopsis plus VHS Cover (Unused).